Pre Heat your oven to 180 degrees and get out your individual ramekins or oven proof dish. Put the butter and sugar into a large mixing bowl before sieving in the flour. Using your hands, rub the mixture until it resembles bread crumbs. 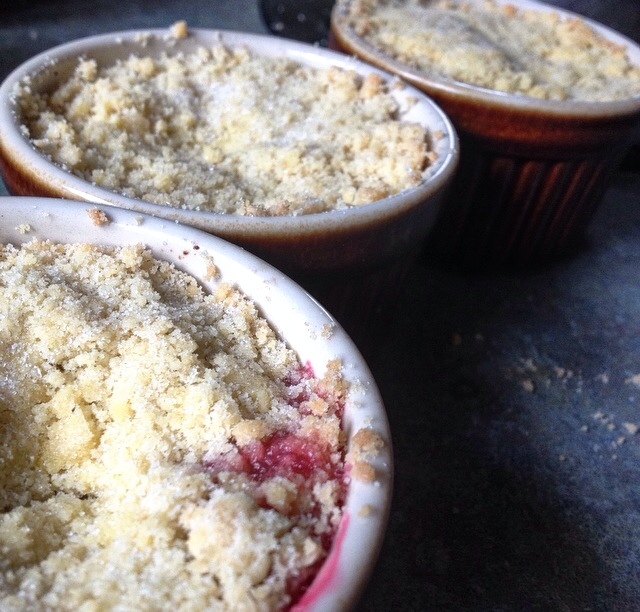 Once the mixture looks like fine bread crumbs, wash and slice up your rhubarb around 2 cm thick. The thinner the slices, the less time it will take to cook. Put the rhubarb and raspberries evenly in the dish(s) before adding a sprinkle of sugar over the top to balance out the sharpness from the Rhubarb. Evenly distribute the crumble mixture over the top, covering all the fruit and sprinkle some sugar on top again. 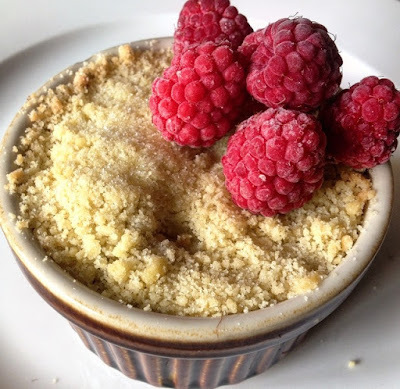 Place in the oven and bake for 10- 15 minutes until the crumble is golden brown. 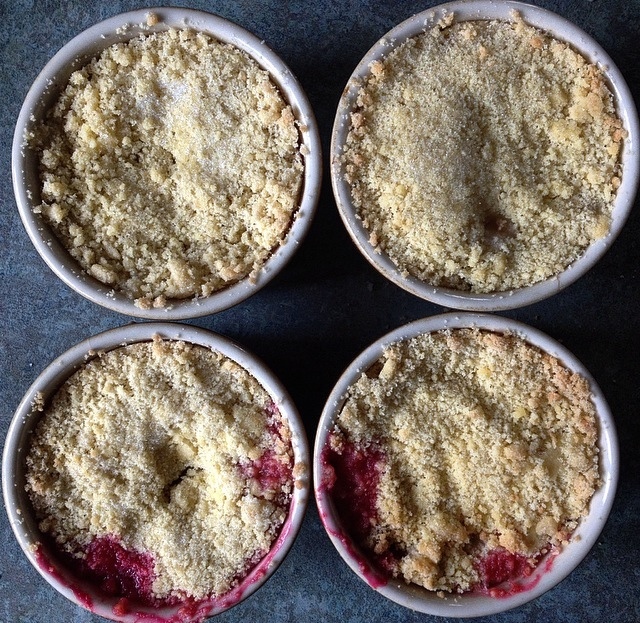 Once cooked, leave to cool for 10 minutes before dishing up with frozen raspberries and ice cream!